London boasts a huge choice of world class conference centres; some are housed within historically important buildings, others are purpose-built, all are fitted with state-of-the-art technology including the latest audio and visual equipment. We've made a shortlist of the top large conference centres in central London, capable of taking up to 2,500 people. Modern, flexible event space located in a Grade II listed building. While the City of London is not short of modern, flexible event-spaces, not many can claim to be located in a Grade II listed building, or in a former brewery. Founded by Whitbread in the 18th century, the Brewery provides a historical setting for a wide variety of event and conferences. With six event spaces of varying sizes and expert assistance with design and technology, the Brewery is a versatile venue, located right on the edge of the Square Mile. 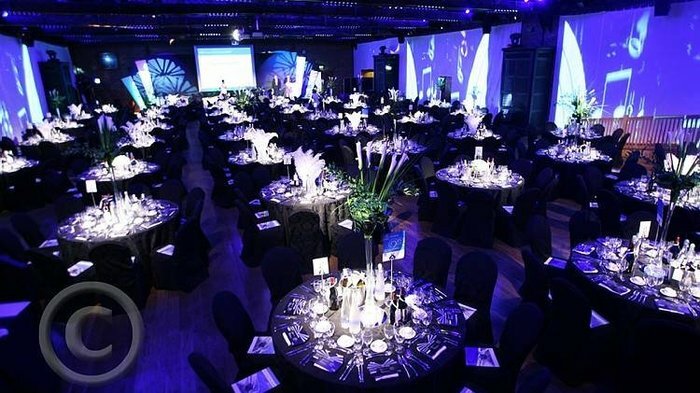 The largest conference room, The Porter Tun, has a capacity of 1,000 guests and is one of the oldest unobstructed event spaces in London, making it ideal for major conferences, award dinners and fashion shows. Smaller events can be held in the other rooms, which offer capacities ranging from 100-200. Theatre-style seating for up to 170 delegates and modern cinemas for private film screenings. The Barbican Centre is the jewel in London's artistic crown, with its theatres, concert halls, art galleries and cinema providing a year-round programme of events. Adjoining the complex, the huge Barbican Conference Centre offers versatile accommodation for events of every type. At the heart of the conference floor are two large suites with sound proofed sliding partitions providing space for up to 170 delegates in theatre style. Alternatively, these suites can be divided into six separate rooms for smaller groups. A dedicated boardroom is also available for the most formal meetings and there are three presentation cinemas. Cinema 1 is the ideal venue for private film screenings, and can be combined with a dinner or drinks in the Garden Room and Conservatory. Great transport links, a location close to the financial city and the kudos associated with the Barbican's links to London's celebrated arts scene, as well as excellent customer care for first-time exhibitors, make this a much sought-after conference venue. Historic landmark with auditorium that can sit more than 2,000 people. Meeting rooms for hire within a Grade II listed 1950s modernist building. Based at Congress House, the headquarters of the Trades Union Congress, the Congress Centre offers several meeting and conference rooms for hire within an architecturally-renowned Grade II listed 1950s modernist building. Having undergone a £4.2 million refurbishment the centre is well equipped with plasma screens, digital sound and coloured LED lighting. Located in the heart of the West End, the largest function suite at the centre is the modernised Congress Hall which can accommodate up to 500 theatre-style or 850 for a standing reception. The Congress Suites are a series of rooms that can be adapted to create one, two, three or four separate rooms for 10 to 120 people. The Council Chamber seats up to 63 around a cherry-wood boardroom table, or up to 160 theatre-style when the table is removed. The 250-capacity flood-lit marble entrance hall makes a stunning venue for a drinks reception - with Jacob Epstein's Pieta sculpture, the TUC War Memorial, creating a beautiful backdrop when lit at night. The plinth to the front of entrance of the building bears a bronze sculpture by Bernard Meadows. Distinctive Grade II listed building with a capacity of more than 1,000 guests. Located in the heart of Westminster, the Emmanuel Centre is a distinctive Grade II listed building designed by renowned architect, Sir Herbert Baker. Originally built in 1928, the venue combines traditional charm with modern facilities. It houses a main auditorium, suitable for events of up to 1,000 people, and two halls with capacities of 300, making it the ideal venue for conferences and seminars. The auditorium is a grand affair with marble columns, a huge glass dome, arched windows and polished English oak panels, while the Upper Hall is equally impressive with a high arched ceiling and Tuscan arches. These touches give the venue a unique quality that stands out from the usual conference centre format. The Lower Hall is slightly more basic that is more suited to meetings, seminars and workshops. All three spaces come equipped with high-spec and in-house audio visual equipment. Home of the Quakers in Euston boast large Meeting Hall which sits 1,100 guests. The historic headquarters of Quakers in Britain, Friends House in Euston has 23 function rooms including a large Meeting Hall which sits up to 1,100 guests. The venue boasts classic architecture, imposing stone columns and wood panelling, as well as state-of-the-art facilities. The Small Hall has a capacity of 230 while a further 20 smaller rooms can sit two to 120. Located opposite Euston Station, Friends House is conveniently situated in the heart of London and is a convenient venue for corporate conferences, meetings, training courses, lectures and interviews. In-house catering, a self-service restaurant and audio-visual equipment are also available, not to mention great day delegate package options suitable for all budgets. Quakers share a way of life built upon principles of truth, equality, peace and simplicity rather than a written set of beliefs. The university's largest conference room can hold 740 guests. One of London's largest academic venues, the Imperial College London has a portfolio of more than 200 meeting and seminar rooms. 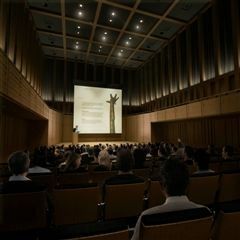 Its largest conference room, The Great Hall, is located within the Sherfield Building on the South Kensington Campus and is available to hire for launches, exhibitions, conferences and public events. With a capacity of 740 guests, it provides tiered and retractable seating, providing the option for flat floor space, and an uninterrupted line of vision. The Conference Office is also on hand to provide audio-visual technicians to assist in managing the technical aspects of each event. Setting the venue apart from other London conference centres, the venue is centrally located and nearby to a number of London attractions, including The Royal Albert Hall, the Science, Natural History and Victoria & Albert Museums, and Hyde Park. Seven floors of purpose-built meeting space in the heart of Westminster. Seven floors of purpose-built meeting space in the heart of Westminster, the Queen Elizabeth II Conference Centre (QEIICC) is a well known permanent conference space situated opposite Westminster Abbey and within walking distance of the Houses of Parliament. Spaces for hire include the 700-capacity Churchill Auditorium, the Fleming and Whittle Rooms which can be joined together to create a 1,300-capacity space, and the smaller Mountbatten Room. The Westminster Suite is ideal for seminars and small conferences for up to 140 delegates seated theatre style. Venue facilities include free Wi-Fi, a function room capable of taking cars, rooms with a view of Big Ben, ISDN / video conferencing, built in simultaneous interpretation, disabled facilities and civil wedding licence. This is a long-running and extremely slickly organised events venue, a great choice for business events in Westminster. For a more detailed overview of the Queen Elizabeth II Conference Centre visit our QEIICC Area Guide article, or our QEIICC Illustrated Map. Versatile centre with a range of rooms and popular with international conferences. Handily located just off High Street Kensington (between Holland Park and Kensington Gardens), the Kensington Conference and Events Centre can accommodate up to 1,470 people and is popular with international conferences, fairs, exhibitions and dinner dances. The Great Hall sits 850 or can hold up to 1,000 for a reception; a Small Hall holds 190 and a Council Chamber boasts a central bank of seating and leather-topped desks for 70 people with a further 54 fixed seats in the galley and scope for another 50 temporary seats. A further five Committee Rooms - including the elegant, Mahogany-panelled Mayoral Suite - can also be hired for more intimate meetings and events. Impress delegates with two auditoriums, two art galleries and views over Regent's Canal. Just 150 metres from King's Cross and St Pancras stations, the Dixon-Jones designed Kings Place offers conference organisers two auditoriums, two art galleries and a wide selection of event spaces with spectacular views over Regent's Canal. Hall One, the stunning tree-lined main auditorium capable of seating 420, is made from one 500 year old oak tree. Hall Two is ideal for events of up to 200 delegates. Both come with the latest audio and visual equipment including a built-in sound proofed glass booth. Bathed in natural light, the Battlebridge Room, with capacity for 100 people in a theatre style conference, can be split into two using a movable wall, creating a room for presentations and another for refreshments and registration. The adjoining covered waterside terrace with its canal views is a rare find in central London and an ideal venue for a summer party. The St Pancras Room is best suited to small conferences of up to 100 people and there are three further breakout rooms. Google, Audi and the BBC are among the companies which have used Kings Place as a conference centre. City secret with 600-seat auditorium and meeting rooms overlooking the Thames. The self-proclaimed best kept events secret in the City, the newly refurbished Mermaid events and conference centre in Blackfriars boasts a 600-seat theatre-style auditorium and numerous meeting rooms overlooking the Thames, Tate Modern and the Shard. Exhibitions, conferences, seminars, concerts, business launches, after-premiere parties, AGMs, product launches, fashion shows, comedy and magic shows have taken place at the Mermaid, as well as private dinners and spectacular galas. Clients who have used the venue in the past include KPMG, Accenture, IAB, Sainsbury's and the BBC. Besides the state-of-the-art auditorium, further spaces for hire include the Bridge Bar, Blackfriars Room and the River Room with its waterside setting and sweeping views over the river. This cinema's auditoriums are ideal for hosting corporate events with a capacity of 1,943 guests. One of London's biggest cinemas, the Odeon Leicester Square regularly plays host to premieres and awards ceremonies as well as screening the week's big releases. Aside from the movie screenings, the six auditoriums are also ideal for hosting corporate events and conferences. Five of the screens only have 50-60 seats, making it suitable for small meetings and conferences. However, with a capacity of 50-1943 guests, the main two-tiered auditorium is ideal for large-scale events. The venue offers high-spec facilities and state-of-the-art audio visual technology, plus live satellite link up, digital surround sound and, of course, the big HD screen. Breakfasts, buffet lunches and evening drink reception can also be catered for. From cheap budget places to stay to luxury 5 star hotels see our special offers for hotels, including Park Lane Mews Hotel from 52% off.